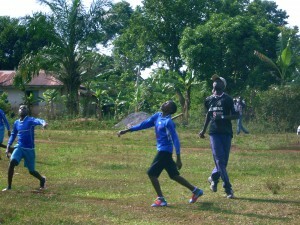 An uneven, askew field has until now been used for physical education classes at New Horizon primary school and for playing soccer during the weekends. The field has also been shared with the neighbors’ cows. 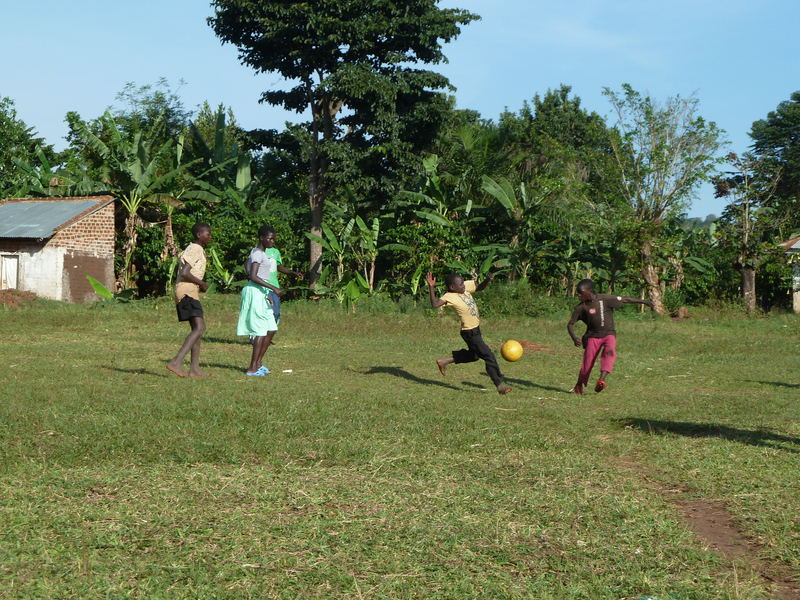 An own sports field for the school has therefore been a dream for everyone at Nyenga for a long time. This dream is now becoming a reality. We gather in price estimates from local entrepreneurs as a routine when starting a larger project. To our great disappointment the estimate we received this time was far from our budget. 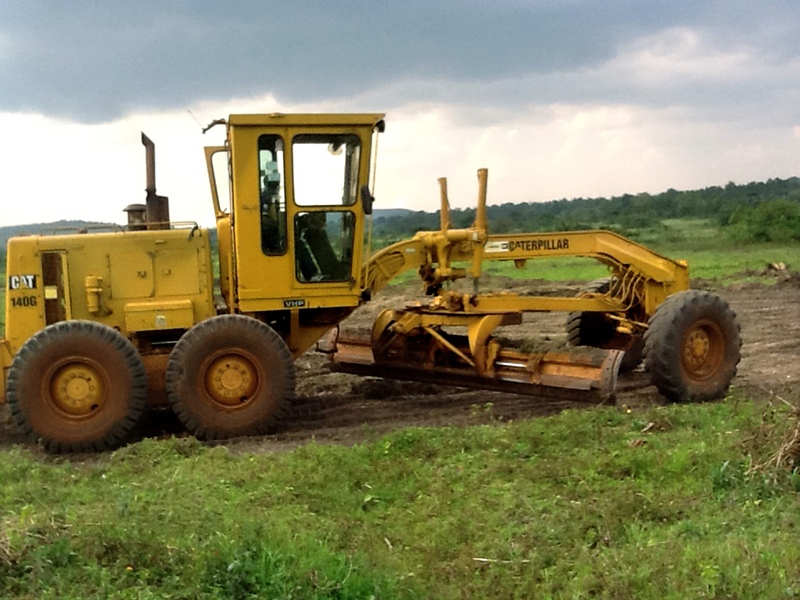 The administration at Nyenga discussed the offer and agreed to do a great deal of the work themselves. This made it possible to reduce the costs to a fourth of the original estimate. The work has now started. We thought a small tractor would come to level out the area, but a massive machine showed up and evened out the field in no time. 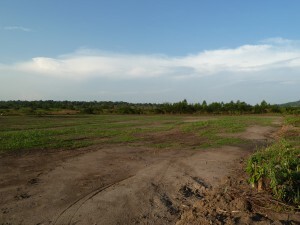 For those who have been to Nyenga, the field is located in the flat wetland area below the school. 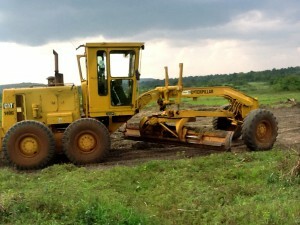 To prevent flooding during the rainy season ditches have also been dug around the field. 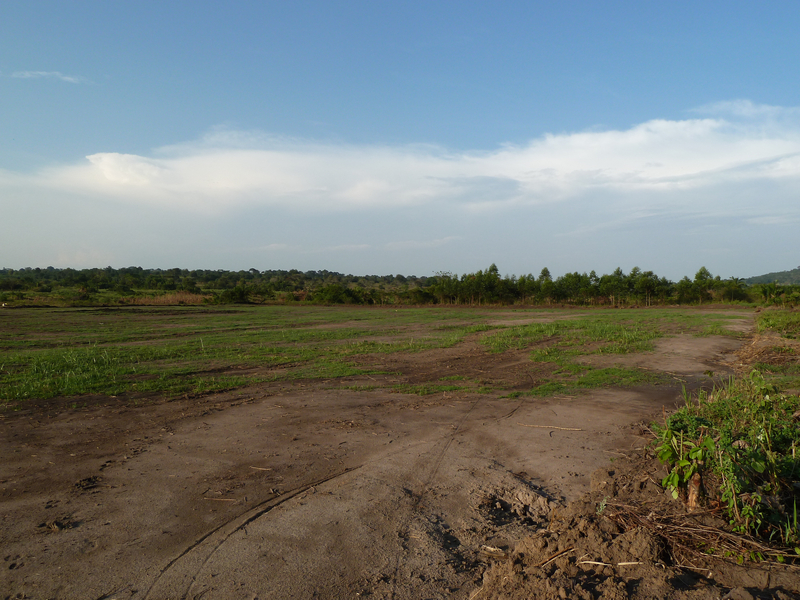 Grass is not sown in Uganda. Grass is planted in rows of small tussocks, like a piassava broom, which quickly grow together. The children, in cooperation with some of the teachers and Patrick, will have the task of planting. The pupils and our employees have joined in establishing a sports team; «Kabizzi, Banga, Wankwale United», the names of the three surrounding villages. They have big ambitions of becoming the region’s best soccer team. Our general manager, Ruth, has previously won several netball competitions, and we hope to also have a decent team in this branch of sport. The optimism and spirit is in place, so this will go well. Time will show.